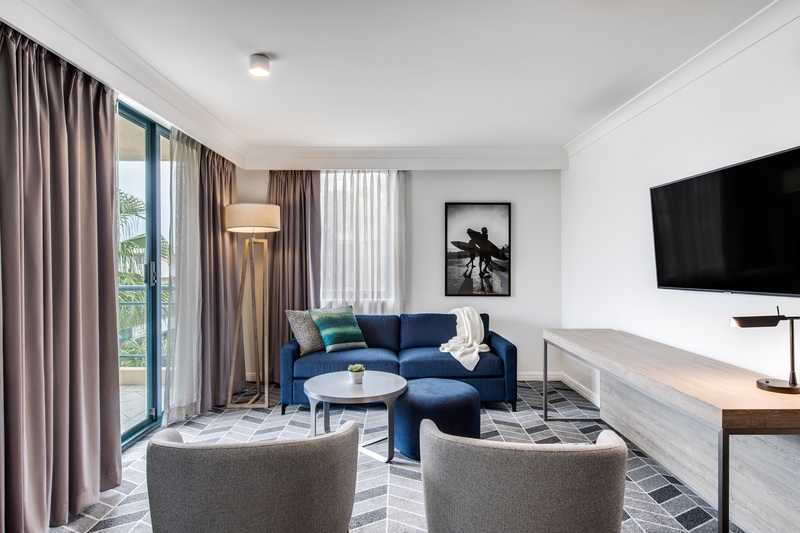 Adina Apartment Hotel Coogee has unveiled a refreshed new look following a multi-million-dollar refurbishment of its rooms and conference spaces. 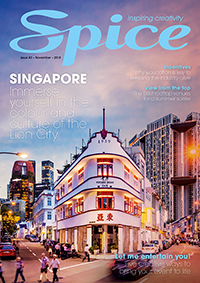 The hotel has been revamped under the management of TFE Hotels, with a goal to bring the Sydney property up to a new contemporary standard. 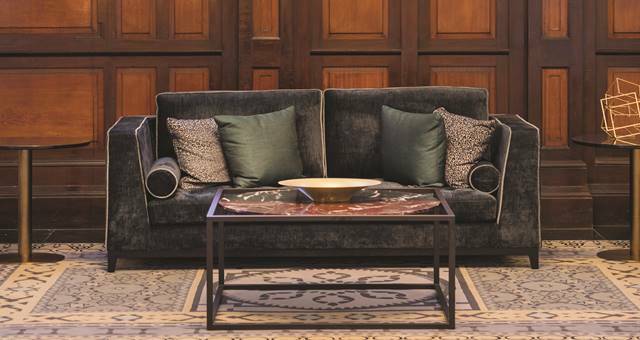 TFE’s in-house design team collaborated with interior design company D’Cruz on the renovation. 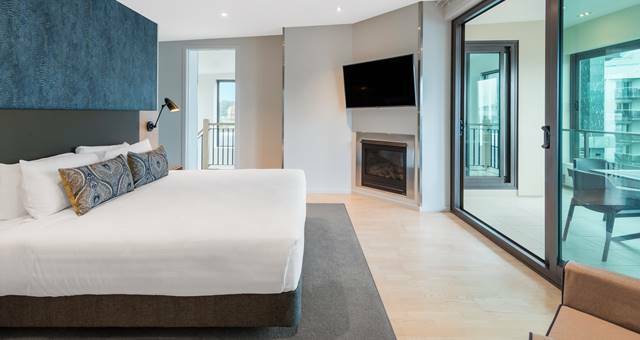 Located just 200 metres from Coogee Beach, the hotel offers 86 renovated studios, one-bedroom and two-bedroom apartments, each with free WiFi, a fully equipped kitchen and laundry facilities. 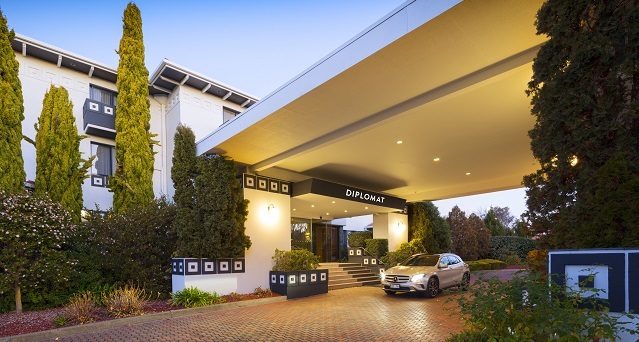 “The refresh of one of our most popular Adina Apartment Hotels in New South Wales coupled with its unbeatable location near the beach provides guests with the ideal place to base themselves when visiting Sydney, hold meetings or even have a staycation,” said TFE Hotels chairman Allan Vidor. 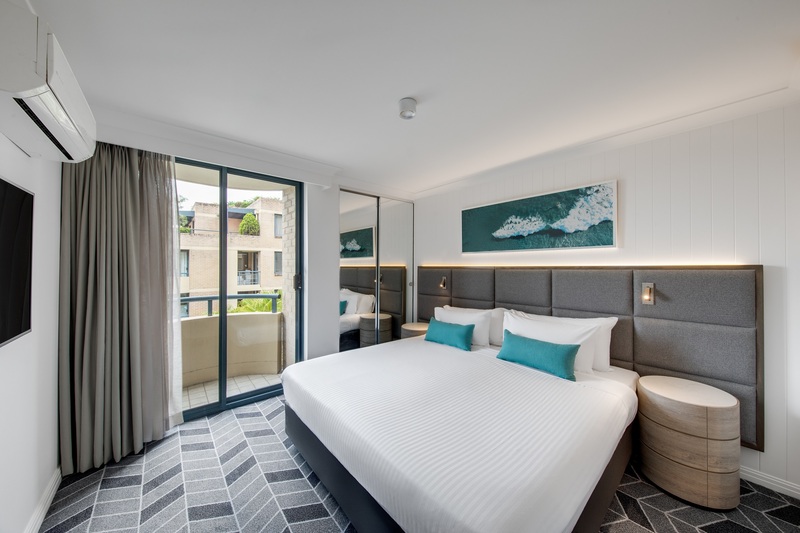 The hotel’s lobby and conference rooms have also been renovated with a fresh colour palette and photography of Coogee Beach by local photographers WeThree. 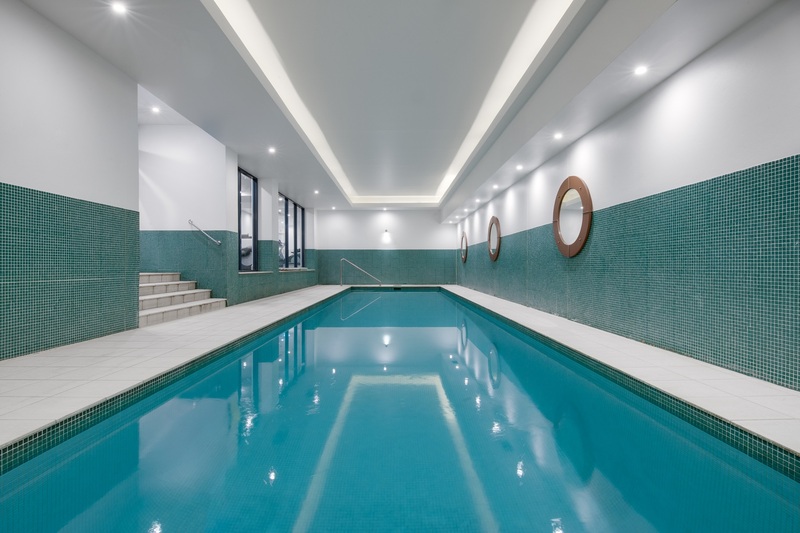 A modernised gym, pool and hidden courtyard garden area are also on offer to guests.